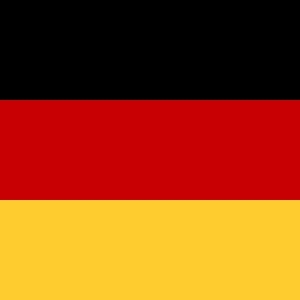 It is noteworthy to mention that Germany is a federal state comprising 16 countries (Länder), each of them having its own constitution, parliament, decision-making competences and legislative power. HE is overseen by the state governments, while only vocational training responsibilities are shared between the national and state institutions. As a consequence there are various legislation frameworks relevant to the recognition of skills and competences, and consensus has to be negotiated among the various stakeholders of the different levels of the system, which traditionally makes reforms a “long and winding road”. However the German National Ministry for Education and Research (BMBF) is currently funding 73 projects under the title “Advancement through Education – Open University” in which various possibilities of VPL are being tested. The focus of VPL is on the transition from professional work to HE. There is also a working group of the university rectors’ conference, as well as numerous work papers and guidelines for implementation. Since last year, there are also a few pilot projects which aim at supporting migrants and refugees towards entering into HE study programs. However, the response is still modest and the design of those projects makes evident that in the case of HE additional qualification is needed in the run-up to VPL. A national strategy has been implemented, in order to attract skilled workforce from outside Germany and flexibly integrate those target groups into the labour market. One means to this end is the new „Berufsqualifizierungsfeststellungsgesetzes (BQFG)“3, which was enacted in 2012. It shall enable persons, in particular migrants who have acquired a certificate in a certain occupational area in another country than Germany, to check their skills and competencies against the respective German qualification schemes, and to determine individual training needs to be addressed in order to bridge current qualification gaps (§ 1 BQFG). In parallel the possibilities of external learners (those who have not acquired a formal qualification in the training system) to participate in formal assessments have been widened.A wider range of qualification pathways and certificates were analysed against the EQF descriptors, which are not part of the formal training system and are not accredited yet. In order to become accredited, these “non-formal” qualifications have to meet the following minimum requirements: they must be based on a curriculum, they must comprise learning objectives, availability of assessment procedures, standards and modular scheme. With regard to the European Key Competencies, a range of certificates has been identified, which can be used by learners to demonstrate these competencies.Last but not least, for learning outcomes without corresponding qualifications, extra levels were introduced within the NQF. Over the past decade countless approaches, instruments and methods have been developed, all of which are aiming at the validation of informal and non-formal learning outcomes. Most of them have been developed for specific target groups or contexts: young people, senior citizens, disadvantaged persons, unemployed and low-skilled target groups, entrepreneurs, intercultural teams, women who return from maternity and want to re-enter into the labour market, people in educational transition, etc. The majority of these initiatives build on portfolio approaches combined with biographic interviews. For specific target groups, such as disadvantaged young people, specific assessment methods and advanced psychometric methods have been developed, in order to measure the people‘s competencies and determine in a more appropriate manner occupational aptitudes. In many of those cases “passes” have been developed, in order to document the competencies rendered visible, such as ProfilPass, YouthPass, CulturPass, FamilyPass, SeniorPass, VoluntaryPass etc. A huge number of “competency passes” have been documented for Germany. However, none of these documents lead to formal recognition. the “Externenprüfung” (assessment of external candidates) as the central mean for the validation of non-formal and informal learning outcomes. Based on the „Berufsbildungsgesetz“ (BBiG §40 Abs. 2 und 3)1 and the „Handwerksordnung“ (HwO § 37 Abs.2 und 3)2, candidates are allowed to participate in an external assessment without having passed an ordinary formal vocational training. However, the candidates have to prove profound work experience in the target occupation for a period quite twice as long as the training period prescribed in the national training schemes. Alternatively, the candidate can put to the fore certificates and similar documents of evidence, able to prove the acquisition of knowledge, skills and competencies in this occupation. Training periods successfully passed in one occupational field generally can be transferred to another occupational area. The major target audience is people with long professional experience in a certain occupational field. The assessment is conducted in accordance with the formal regulations for training assessments and the national framework curriculum applying to the respective occupational area. Thus, outcomes of prior learning can be subject of the assessment, however the assessment procedure itself does not include a separate process or recognition scheme for the validation of informal or non-formal competencies. Basically the same principle applies to recent amendments of the “Berufsbildungsgesetz” (German General Law on vocational Training) in 12/2002, such as the new act on vocational training preparation (Berufsausbildungsvorbereitende Maßnahmen (§ 51 Absatz 1,2)). This kind of training is especially targeting young people who have passed compulsory school education but are not fit enough to enter into ordinary vocational training without further preparation. Those target groups are offered modular training units in various occupations, which however do not lead to a full training certificate. According to the new legislation act, single modules now can be certified and accumulated. Likewise, prior learning outcomes can be subject of assessments, however without explicit schemes for the validation or recognition of informal / non-formal learning. as far as validation results will be equated with qualifications, or alternatively equated with job references, they will have the status of personal files, and confidential rights apply.